Sounds great but is it possible for the average person to decide how to invest their money to prepare for a rewarding retirement? The answer is “Yes!” with a little help from financial experts at abc super funds. abc super funds will setup your Self Managed Superannuation Fund (SMSF)based on your choice of investment options, help with the administration and tax requirements, and be there to offer advice if you need it. Self Managed Superannuation Funds are increasing in popularity as more Australians want to take control of their investments. There are over 410,000 self managed superannuation funds in Australia, with 'one in every five' dollars invested in superannuation going into a self managed superannuation fund. 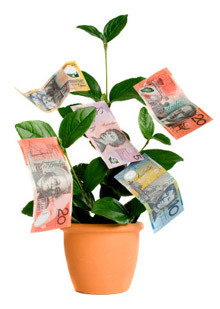 Why Self Managed Superannuation Funds? In the early 2000s, investors were unhappy with disappointing returns on their investments. They paid agent fees and costs to have their money invested only to get less return than they had expected. They felt the need to have more control over where their money was being put and what kind of return they received which led to the creation of the Self Managed Superannuation Fund.